You are TOO adorable! Love these festive statement accessories! Hope your Internet gets fixed soon…I know the feeling. We have to use a VPN over here so our computers ‘think’ we’re in the U.S. and it causes frequent issues! Internet issues are so frustrating, but at least you look super cute and ready to celebrate the Fourth of July holiday! You always have the cutest festive looks! I’m loving the headband and flip flops. Have a great weekend, and 4th! 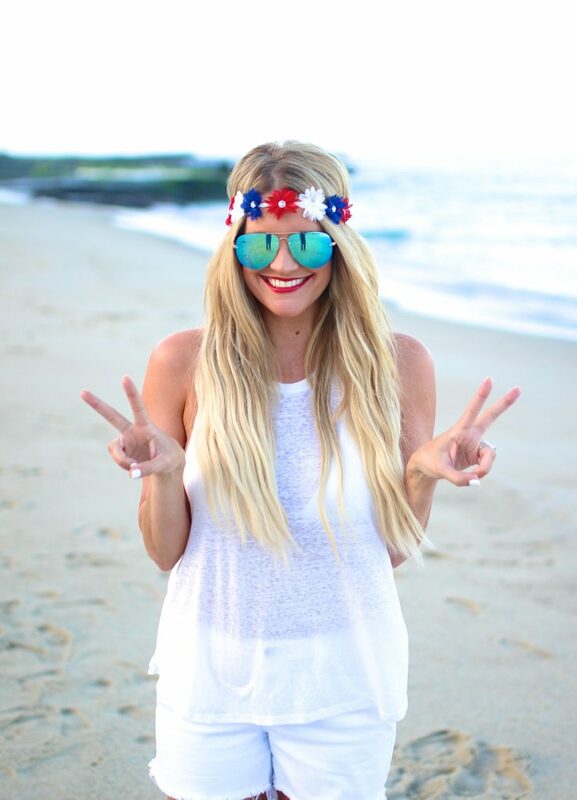 You are a patriotic boho QUEEN! 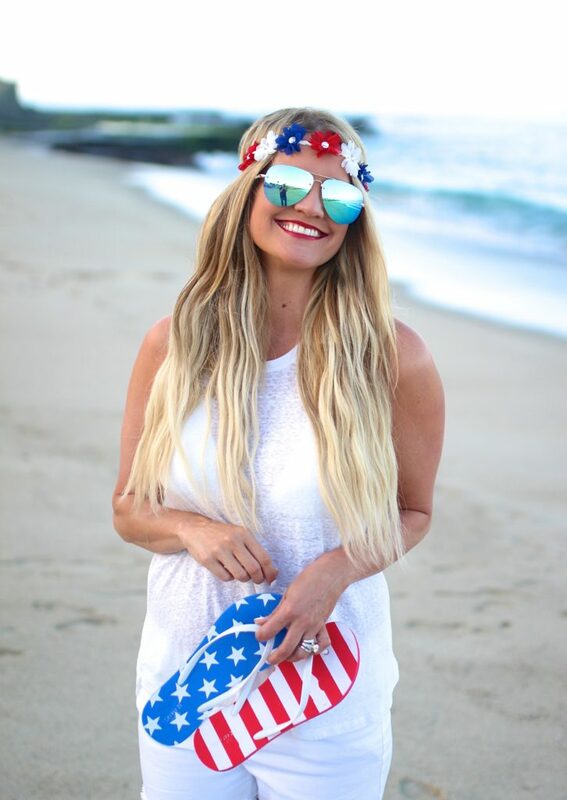 Love this festive look and I need your tank! That look is so cute! I love the flip flops, and the headband!! It’s perfect for forth of July. Such a cute outfit and love those flip flops! 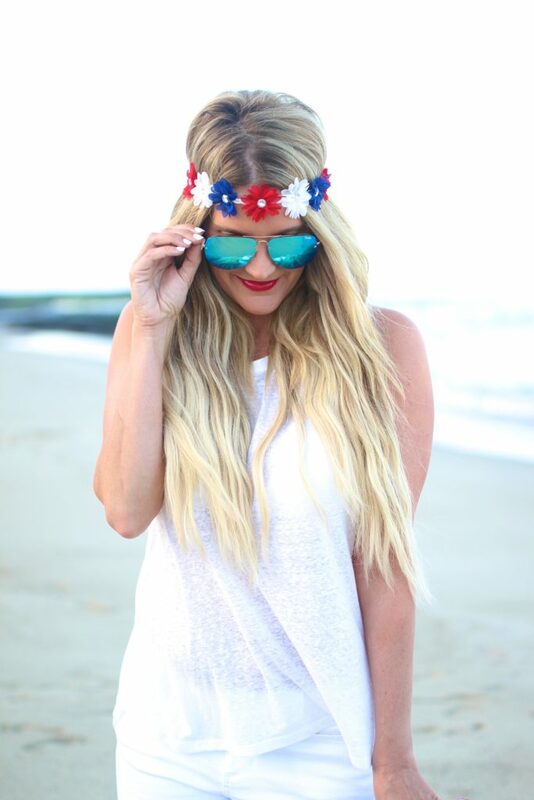 Your little 4th of July-themed flower crown is PERFECT! You look so beautiful! I love these photos! we don’t celebrate the 4th of july here but i love all the outfits surrounding it so much. I watched it. It’s really interesting how everything works and it’s crazy to think how crime scenes are processed and that there are still so many errors in them?!? I love your outfit and that headband! Hope you’ve been having a good week and have a nice weekend ahead of you! Good luck with the internet issues! This is so fun and spirited! I love how easy this would be to recreate. blue shades are my absolute fav! 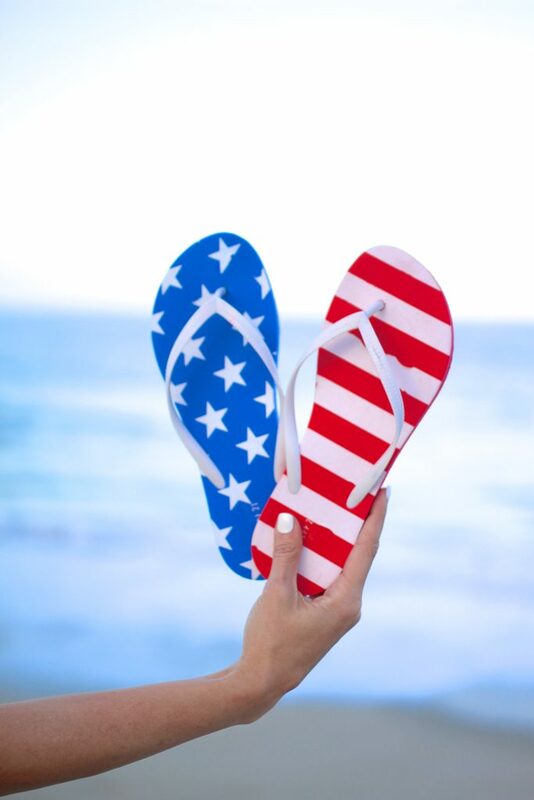 Love the red white and blue ! So fun and adds pops of color to any outfit! Such a cute combo! Happy 4th of July dear! Love the look! Happy 4th July!